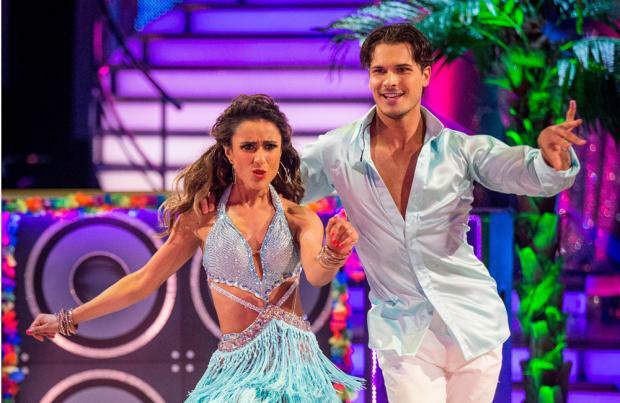 Gleb Savchenko quit 'Strictly Come Dancing' to spend more time with his wife and daughter. The 32-year-old hunk recently walked away from the hit BBC show and has revealed his desire to be closer to his wife Elena Samodanova, also a professional dancer, and their five-year-old daughter, Olivia, was the primary motivating factor. Gleb - whose wife lives in Moscow, Russia - shared: "When I was on 'Strictly' it was really, really difficult. "I was missing out on so much and I didn't get to see my daughter for six months out of the whole year. "She's going to be six in November and she has to go to school. My wife was trying to fly back and forth but it was too tough. "I didn't want to miss out on so much and I made this decision to be with my family. I think family is more important than fame. My wife needs to feel loved and I want to see my daughter grow up." Meanwhile, Gleb, who is currently appearing on 'Celebrity MasterChef', revealed the BBC banned certain photos from appearing in his calendar last year, but reassured fans that his 2017 edition will be raunchier than ever. He told The Sun on Sunday newspaper: "Some shots for my 2016 calendar weren't allowed because the BBC says 'Strictly' is a family show. But for 2017, wait for it -- you can see everything. "I'm very comfortable with my body. I take off my shirt and it's OK. It's the same thing as going to the beach. "I hope my following isn't just from taking my top off and that it's my dancing too. "But somehow my body does have an effect on people." Gleb also rubbished the suggestion he was quitting 'Strictly' because he feared the show's much-discussed love curse would strike him. He said: "It doesn't matter if it's the stars or professional dancers, if they're looking for love or they have a problem in their relationship they will definitely find a relationship on the show. I don't believe in the curse for myself, but it does happen to some people. "If people are looking for something it will happen, because when people get on the show they spend so much time with their professional partner and get so close to them."